the recent report that 60 percent of all wild coffee species are in danger of extinction from climate change, chocoholics are likely to be just as unnerved by similar threats to cocoa bean procurement. 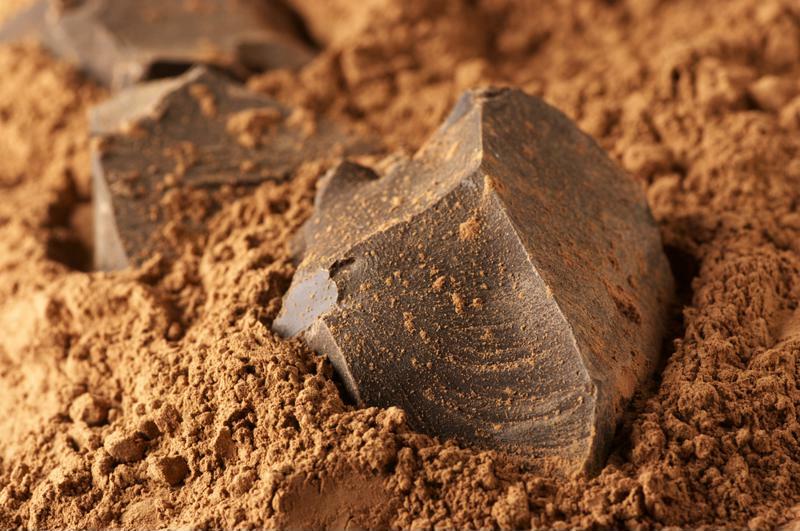 Warmer temperatures and drier weather conditions are poised to make West African nations responsible for producing most of the world's chocolate unsuitable for cocoa plant growth, according to Business Insider. Before anyone with a sweet tooth begins nervously biting their nails, though, it should be noted that Hershey has just announced increased efforts to fight climate change and deforestation in the cocoa supply chain. On Jan. 24, 2019, Hershey announced from Kakum National Park in Southern Ghana a new set of environmental initiatives and commitments, which include the establishment of a new comprehensive environmental policy, the signing of the United Nations Global Compact and participation in the Science Based Targets initiative. The American chocolate manufacturer also launched the Kakum Cocoa Agroforestry Landscape Program, which seeks to better the well-being of cocoa farmers and their families, in part by improving the area's socio-economic and ecological resilience to climate change. "Hershey has long demonstrated its belief that business has a responsibility to help protect our communities and the planet we all share," Hershey CEO Michele Buck said in a statement. "Together, these strategic environmental policies and initiatives will further strengthen how Hershey operates, creating a positive social impact from farm to finished product." Acknowledging the threat of climate change, Hershey says its new environmental policy aligns with the Paris Climate Agreement and supports the UN's Sustainable Development Goals, as well as the company's own sustainability strategy, named Our Shared Goodness Promise. The policy is said to create a framework for guiding future business decisions that have an impact on the environment. Hershey's new initiatives include joining Science Based Targets in its ambitious efforts to minimize the global temperature rise. The United Nations Global Compact that Hershey has joined is a voluntary initiative that encourages businesses to implement sustainable and socially responsible policies, and take steps to support UN Sustainable Development Goals. As a member of the initiative, the company will receive help from the UNGC in aligning its strategies with 10 principles focused on the environment, human rights, labor and anti-corruption. The Science Based Targets initiative is another voluntary global effort that sets science-based targets for companies attempting to transition to a low-carbon economy and keep the global temperature rise below 2 degrees Celsius. Hershey says it has now begun developing science-based targets that take into account the company's total environmental footprint, which is slated to be a two-year process. The newly launched Kakum Cocoa Agroforestry Landscape Program represents a collaboration between Hershey, cocoa supplier Ecom, Ghana's Nature Conservation Research Centre, the Ghana Forestry Commission and the Ghana Cocoa Board, and also supports the company's own half-billion-dollar Cocoa For Good sustainability strategy to drive zero deforestation. Designed to benefit local cocoa farmers and the more than 100,000 people living in the region, the Agroforestry Landscape Program seeks to protect the 118,000 square hectare forest surrounding the Kakum National Park in Southern Ghana. Hershey says the initiative will also develop the area's socio-economic conditions and ecological resilience to climate change. The program is part of Hershey's membership in the Cocoa Forest Initiative, which began last year when the company partnered with the World Cocoa Foundation and 11 other leading cocoa and chocolate companies to end deforestation and forest degradation in the global cocoa supply chain. Côte d'Ivoire and Ghana are the two West African nations that the CFI will focus on to start. "Protecting forests and preserving the natural resources of the cocoa-growing areas here in West Africa is good for society and the bottom line," said Jeff King, Hershey's Senior Director of Global Sustainability and Social Impact. "Our commitment to forest protection aligns perfectly with our sourcing partners in the region and we know that by combining resources we will have greater impact on these communities and surrounding landscapes." 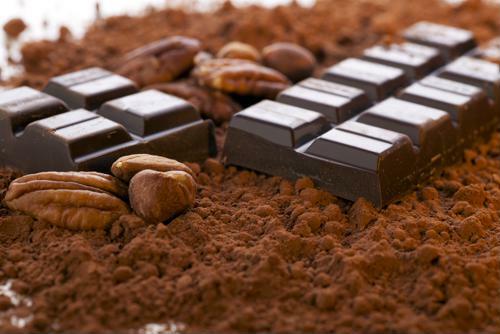 Supply Chain Dive noted that other members of the World Cocoa Foundation, including Mars and Mondelez, have also announced new or enhanced sustainability initiatives in recent months. The renewed commitment to protecting the cocoa supply chain from deforestation and climate change could be a response to the 2018 Cocoa Barometer report released this past April, which found that a previous 10-year effort to increase the sustainability of the chocolate industry had little impact.